Connecting businesses with their audience! Specialty Connections is the website to visit to learn about terrific expos and other opportunities. Sign up now to Exhibit, Advertise, Run a Class, Rent a Room, or Sponsor! 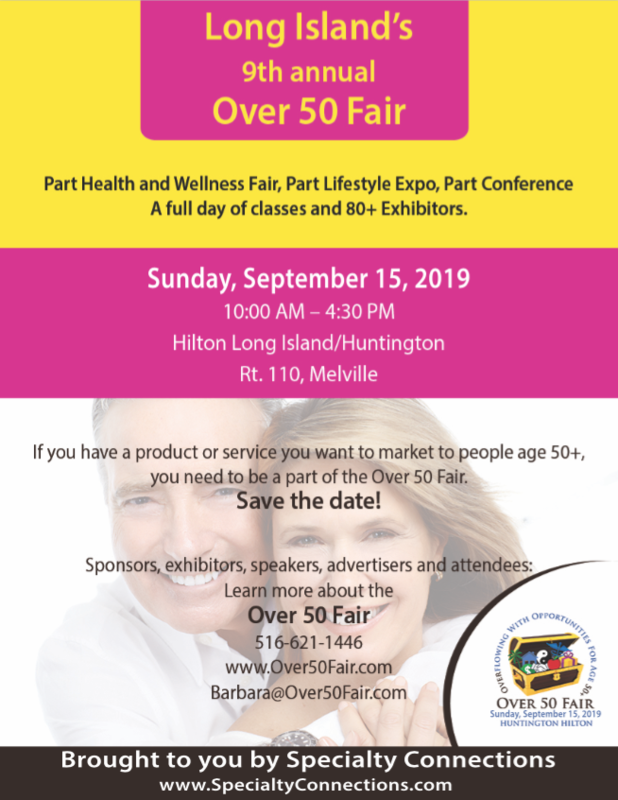 Sales for the Over 50 Fair www.Over50Fair.com will begin in April or May. Call Barbara Kaplan at 516-621-1446 or email Barbara@SpecialtyConnections.com for more information.